I recently just post about a Nexus, a new-to-me nail wrap subscription by Espionage Cosmetics. 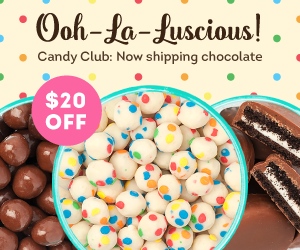 They have 2 subscription boxes available, and here is the other one! Each quarterly Boom! Box has a theme – I was sent a past theme for review, the August 2016 box of ‘Retro Gaming’. Box: Boom! 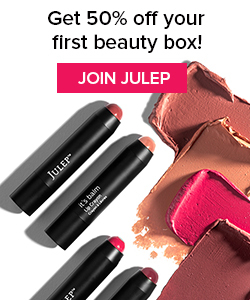 Box by Espionage Cosmetics is a quarterly beauty subscription box. Contents: Espionage Cosmetics in every box, along with a few geek-tastic items. An average of $75+ value in every box! Here is the information card – so colorful! Exclusive shadows were including, featuring a green pigment in ‘1up’, and 2 pressed shadows in ‘Pixel’ and ‘Console’. The colors were actually pretty pigmented, and I love the names! We also got some cool stickers this month – very reminiscent of my old gaming systems! Art Print by Fox Smith (Value $15): Not sure where this print is from, but it does remind me a little bit of Mario, with the addition of Japanese influence. Who remembers floppy disks?! Talk about taking it back old school. How creative to repurpose these into notebooks. Power Up Nail Wrap (Value $10): These power ups are with a gloss finish – I can just here the sounds of the coins when mario jumps and gets those power ups! This symbol is from Zelda, and while I haven’t really played much of it, I know of its huge and loyal fanbase. Even though I’m not a huge Zelda fan, the necklace is still awesome! Final Thoughts: This was a very cool box! I think it’s awesome to have a beauty brand create a subscription that has beauty items with a geeky influence. The theme was executed very well, with so many items that made me reminisce to the good ole gaming days. The value of the box was around $65+, but even if the items had a lower price point, I still think it was all definitely worth the purchase price of the box. Check Out Boom! Box by Espionage Cosmetics here.